Report says National Information Directorate is too small to handle its numerous tasks, IDF can't handle Israel's PR. 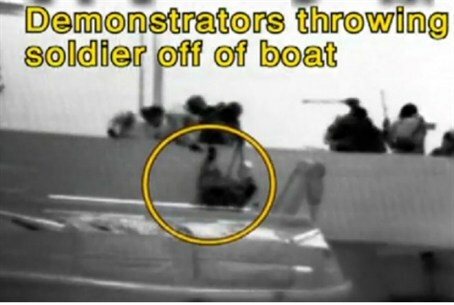 The State Comptroller and Ombudsman's report regarding the Mavi Marmara incident states that Israel's mechanism for hasbara – the Hebrew word that refers to Israel's global public relations effort – is currently unable to properly handle its huge task. For one thing, the report concludes, the National Information Directorate (NID) created in 2007-8 is too small. The NID is supposed to serve as the supreme professional authority for coordinating and directing Israel's official hasbara bodies. Besides being understaffed, the report claims, the NID "is still not prepared for carrying out continuous and protracted coordination efforts for spokesmanship and hasbara during emergencies, and especially in wartime, for creating, transmitting and assimilation of messages..."
The Foreign Ministry, too, is unable to provide a solution for hasbara, "mainly because of the wide gap between the vital requirements for this central field and the meager abilities that it possesses in its current configuration, which have long been inadequate for the needs." Seeing as Israel's public information needs are only growing in scope, the Comptroller calls on the Foreign Ministry "to fix and improve the way it functions in this vital field." When the government agencies are unable to provide proper hasbara, the IDF steps into the breach, the report explains. While the IDF Spokesman's Unit is supposed to serve the military alone, its size, resources and the military and diplomatic information it is privy to make it Israel's central hasbara body, "almost by default." This state of things is not proper for a democratic country, the Comptroller says. The NID and Foreign Ministry need to improve their hasbara abilities and coordinate Israel's hasbara arms in order to optimally influence global opinion. Otherwise, the report warns, "as successful and justified an operation may be, it could be seen as a non-success or even a failure in the struggle for the global public opinion's consciousness."